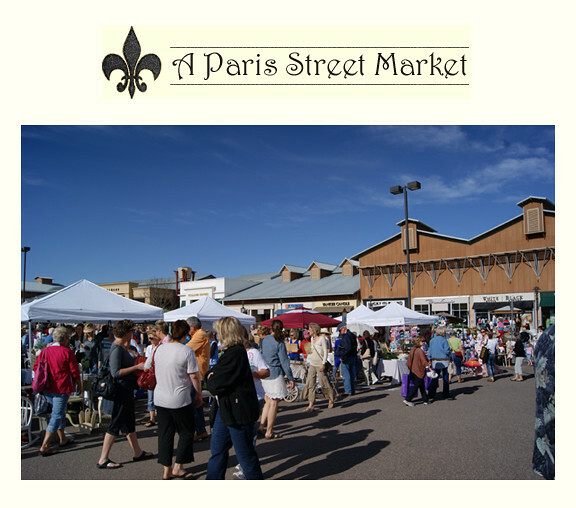 It's that time of year again when I slather on the sunscreen, break out my favorite hat & sunglasses, and pack my squeaky folding shopping cart to browse the exciting finds at A Paris Street Market at the Aspen Grove Mall in Littleton, Colorado. 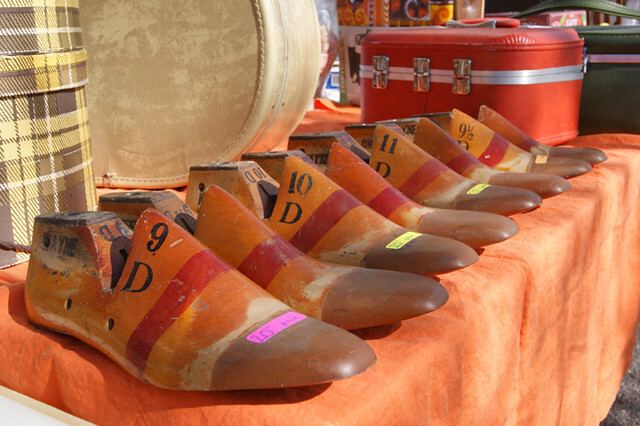 The market is held the first Saturday of each month from May- October, rain or shine. 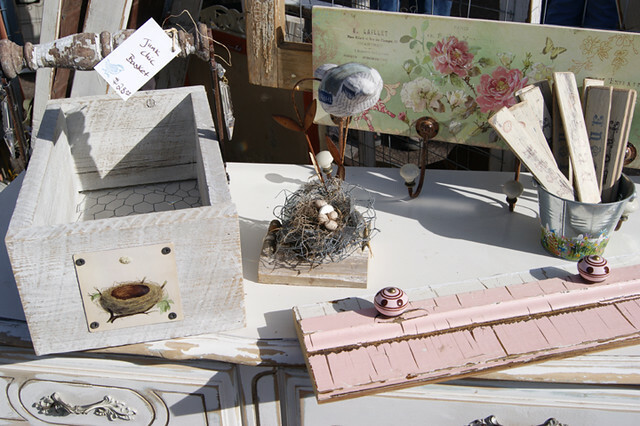 Over the years I have collected some cherished pieces from this market, and I am continually amazed at the wide variety of unique vintage and handcrafted items that are available. The prices can be high, but I have found most vendors to be willing to negotiate, especially as the season continues. 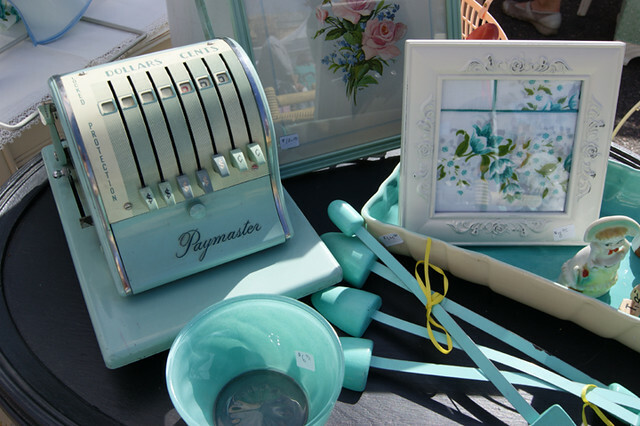 Though many of the vendors do take credit cards, be sure to bring cash- it never fails that the one time you find a cute little item, that vendor only takes cash! This bulldog would have been totally at home in my garden or on the front porch. 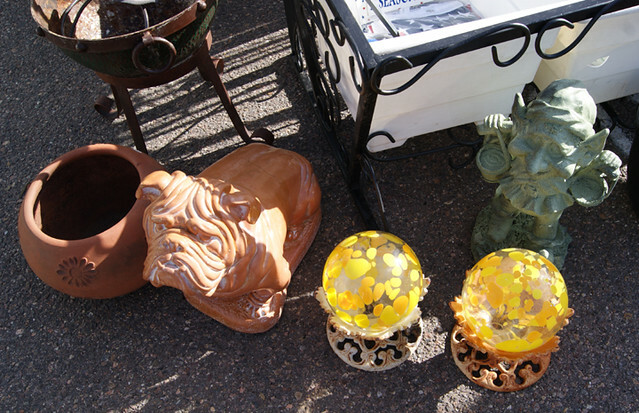 I love these cheery yellow balls on their rusty pedestals too! You may not know this, but I am a total library nerd! My family still laughs at the fact that I started "Erin's Lending Library" with my childhood book collection. I created removable cards with pockets and added Dewey Decimal numbers to almost every book. I would still love to have a vintage library card file in my studio! 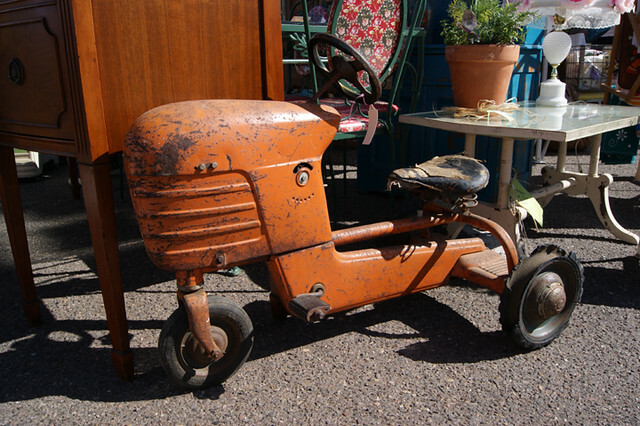 Is is me or does this tractor look like he has a face? He's such a brilliant color! But where would you put something like this? So what did I buy? It wasn't much, but I am very excited about these items! 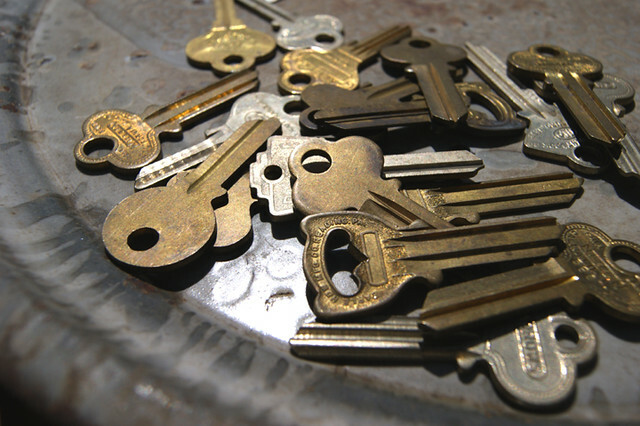 Keys, Keys, Keys!!! I have lots of ideas for these, both in jewelry and original art pieces. 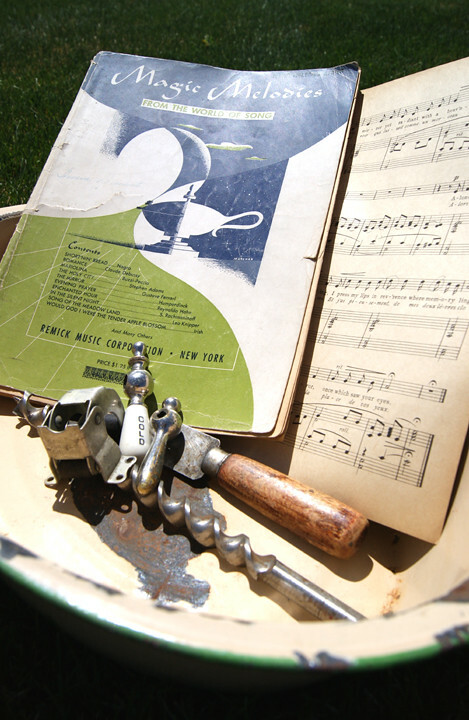 A big, thick book of sheet music with gloriously aged pages! I honestly can't wait to tear them out and use them for all types of collage work! I found some funky, random pieces of hardware and broken tools that I will be using to create textures in paint and clay. 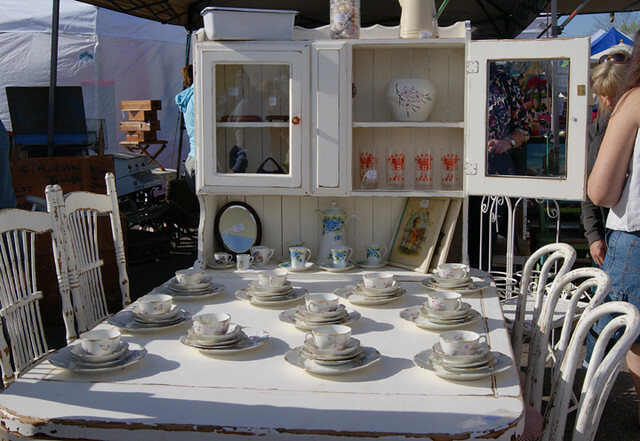 I also picked up two enamelware pieces (the platter above with the keys, and the basin below). They both are beautifully speckled with rust and chipped paint and will be used as display props. 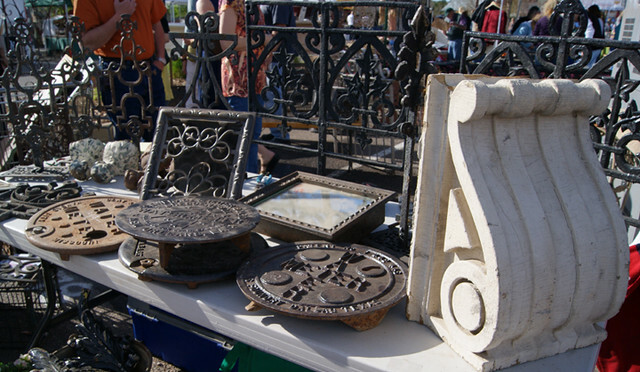 Do you like antiquing and thrifting too? Markets like this are a blast, and I can't wait to go to more! I hope it's a successful season of scavenging for you! SO fun! And that tractor totally has a face. It looks like somebody added an eyebrow! Wouldn't it be wonderful if money were never an object? 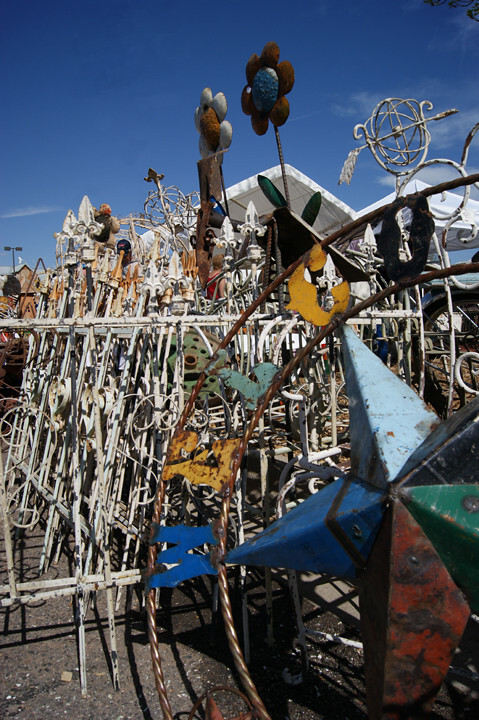 It must have been difficult to leave so many of these artful expressions where you found them. At shows like these, I usually wind up with pottery - pottery that I can use. I can always justify that splurge easier! I am drinking coffee from such a mug as I write! 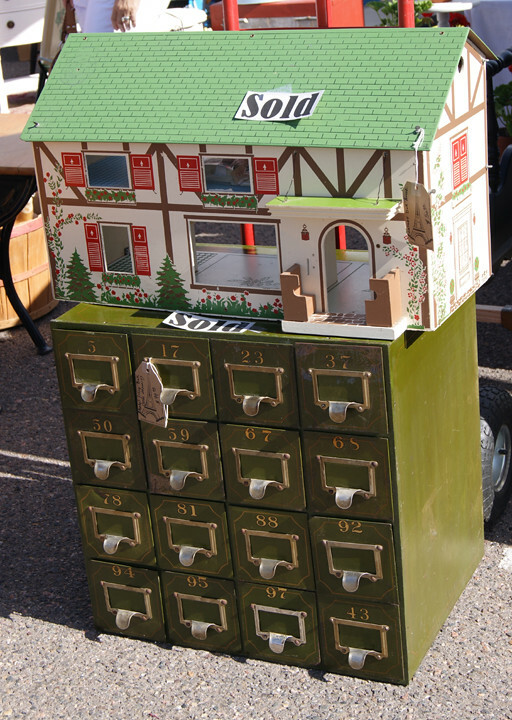 Ok first I want EXATCLY the stuff you picked out - that little Paymaster machine is too cute!